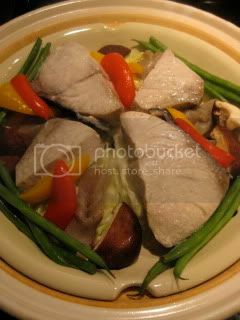 I simply just don't get tired of donabe steamed fish...It's so easy, delicious, healthy, and I love the dish so much. 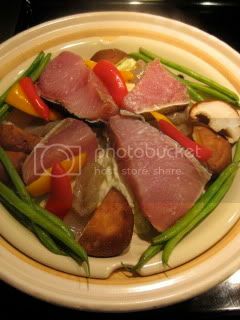 I got the really fresh (sashimi grade) wild-caught yellow tail and steamed it with vegetables and konnyaku. 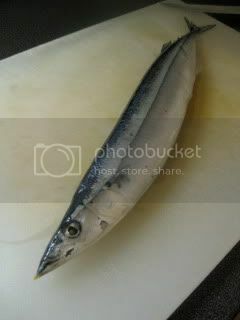 The other night, I did sanma (mackerel pike) from Japan. 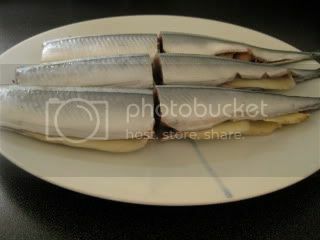 I cleaned and beheaded the fish and inserted some young ginger slices into each of them. 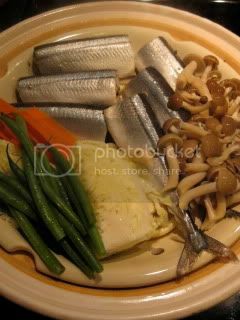 Then, the fish was steamed with vegetables and mushrooms. 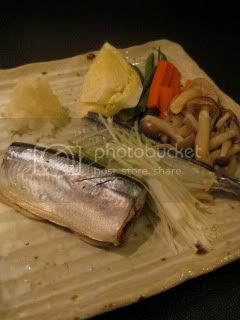 For steamed fish, my favorite sauce is definitely ponzu (either soy-base or salt ponzu) with sometimes grated daikon. 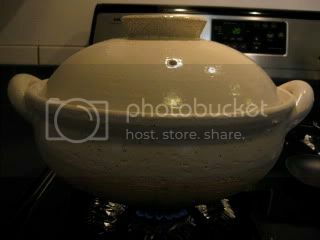 You can find the basic recipe in my previous blog post here.